Waste Water. Dispose of it properly. Water wells and septic systems are essential to rural areas like the Interlakes and remote Northern communities of Manitoba. That’s why Interlake Water Supply Co Ltd provides installation and maintenance of complete rural water and sewer systems. Fresh water is vital to life—our mission is to bring it to you and keep it in pristine condition. 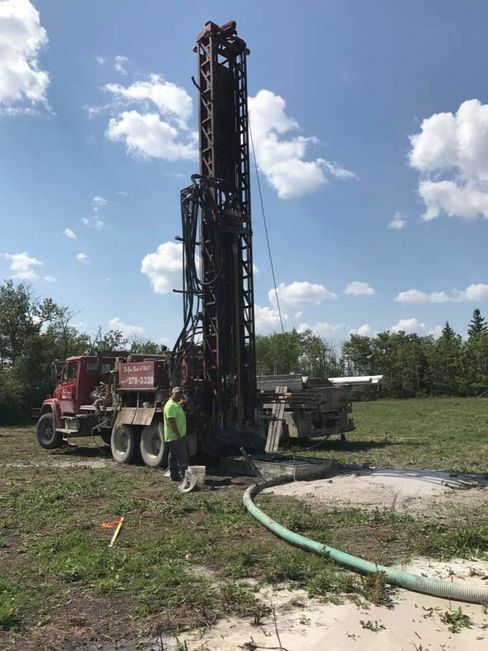 We provide the well drilling Manitoba depends on. Family-Owned. Been around since 1931. Interlake Water Supply builds sustainable water and sewer systems that are built to last. Working with integrity, safety, and efficiency, we are highly experienced in different water and sewer situations. We work to meet your specific needs, delivering high quality products and services—every time. For more information about our services, call us! Call to Learn about Our Hours! We serve Inwood, the Interlakes, and remote Northern communities of Manitoba.